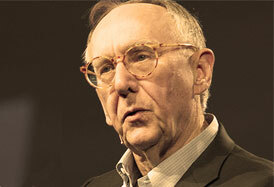 Jack Dangermond is the founder and president of Esri, the world’s sixth largest privately held software company. He is recognized not only as a pioneer in spatial analysis methods but also as one of the most influential people in GIS. Jack actively manages Esri and is closely connected to projects, clients, and company vision. Jack’s current work is focused on helping organizations deploy spatial data in enterprise environments, Web-based services, and mobile computing systems as well as enhancing applications, models, and tools that can be used for optimized routing, intelligent site selection, crime and disease analysis, location-based services, infrastructure management, public safety, and homeland security. Dr. Barilla brings stellar leadership and innovation experience to the world of healthcare and location analytics. She’s successfully partnered with hospitals, providers, health plans, and community based organizations. Dr. Barilla is Assistant VP Strategy and Innovation, Associate Director, Institute for Health Policy and Leadership, and Associate Director, Institute for Community Partnerships at Loma Linda University Health. She is also the founder and Director for a not-for-profit organization, Partners for Better Health, promoting health initiatives in communities. She has implemented innovative alternatives to traditional healthcare by using a collaborative and community-based approach. She serves on the Board of Trustees for San Antonio Community Hospital and American Heart Association. Kai Ryssdal has been the host and senior editor of Marketplace, public radio’s program on business and the economy, since 2005. He joined American Public Media in 2001 as the host of Marketplace Morning Report. Ryssdal began in public radio as a intern, then reporter and finally substitute host for The California Report at KQED-FM in San Francisco. 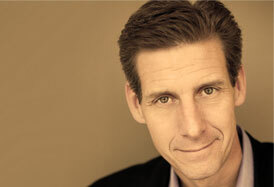 After graduating from Emory University, Ryssdal spent eight years in the United States Navy flying from the aircraft carrier U.S.S. Theodore Roosevelt and as a Pentagon staff officer. Before his career in public radio, Ryssdal was a member of the United States Foreign Service in Ottawa, Canada and Beijing, China. He lives in Los Angeles with his wife and four children. 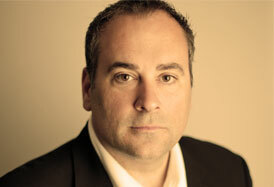 Mark Smith is responsible for the overall business and research direction of Ventana Research. He drives the global research agenda, which covers business and technology, and includes groundbreaking work in location analytics. He defined the blueprint and methodology for improving business by using benchmark research to provide guidance across people, processes, information and technology. Mark is an expert in enterprise software and business technology innovations including: business analytics, big data, cloud computing, business collaboration, mobile technology and social media. Mark has held CMO, research and product development roles at research and software companies. Mark started Ventana Research more than a decade ago. He has worked in the software industry for 25 years leading innovations in research and technology. Mark was rated the 2011 software industry analyst of the year by The Institute of Industry Analyst Relations (IIAR). 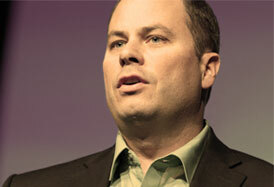 Mark is also ranked as one of the top ten technology influencers in 2012 by Human Resources Executive magazine. 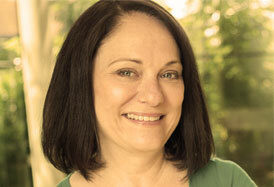 Linda Hecht spearheads Esri’s global campaigns for location analytics. Her passion and energy help direct numerous branding, social, PR, and marketing efforts. 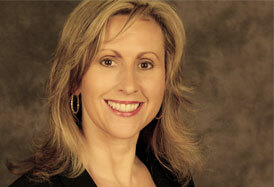 Linda Hecht has more than 25 years of experience in management, marketing, and programming in high tech. Linda began her career at Esri and helped grow the company from 100 staff to over 3,000 today. As Chief Marketing Officer for Esri, Linda leads branding, business development government affairs, and all aspects of marketing to more than 40 industries worldwide. Linda holds a geography degree from University of California Los Angeles and a Master of Arts in Management from the University of Redlands. She has served on the Board of Directors of the Geospatial Information Technology Association (GITA) and the Corporate Advisory Board for the School of Business at the University of Redlands. Mike Colosimo is the co-founder and CEO of thrdPlace, a startup that connects local needs and resources within physical communities. He also runs a real estate investment group for single-family properties and is an experienced urban planner. Colosimo sits on the boards of several non-profits in the Los Angeles area and has served as an officer in the US Air Force, where he managed software development teams for Space Launch and Satellite programs. 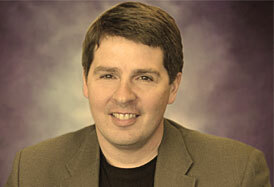 Chris Ovens is a pioneer and thought leader in enhancing business analytics with location. As co-founder and CEO of SpotOn Systems, he drove the adoption of Esri solutions in the IBM Cognos BI customer base. 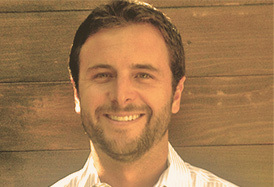 With the 2011 acquisition of SpotOn by Esri, Chris now leads the Esri Location Analytics business. The mission is to broadly, geo-enable the enterprise through the Esri ArcGIS platform. Kevin is a senior member of the Esri marketing team, where he focuses on optimizing marketing systems customer acquisition, and growth through the use of digital and social media marketing. He has created and launched successful marketing campaigns and developed strategic relationships for various online industry leading organizations. During the Internet boom days, Kevin worked on the development and successful launch of the marketing and sales strategy that generated over $30 million in revenue within 12 months for Wall Street darling Bamboo.com. Bamboo then merged with Ipix and went on to become the world’s leading provider of imaging infrastructure for the Internet including managing the scaled imaging infrastructure for companies such as eBay and Realtor.com.